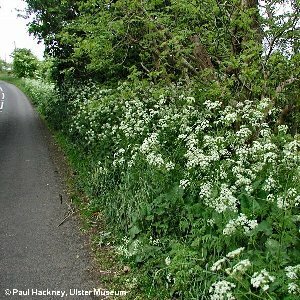 The commonest wayside umbellifer of early summer, making whole stretches of roadside white when in full flower. All names: Anthriscus sylvestris (L.) Hoffm. ; Cerefolium sylvestre (L.) Bess. 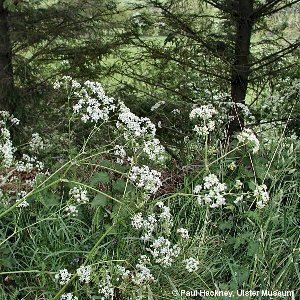 ; Chaerophyllum sylvestre L.